Olive is so very talented. 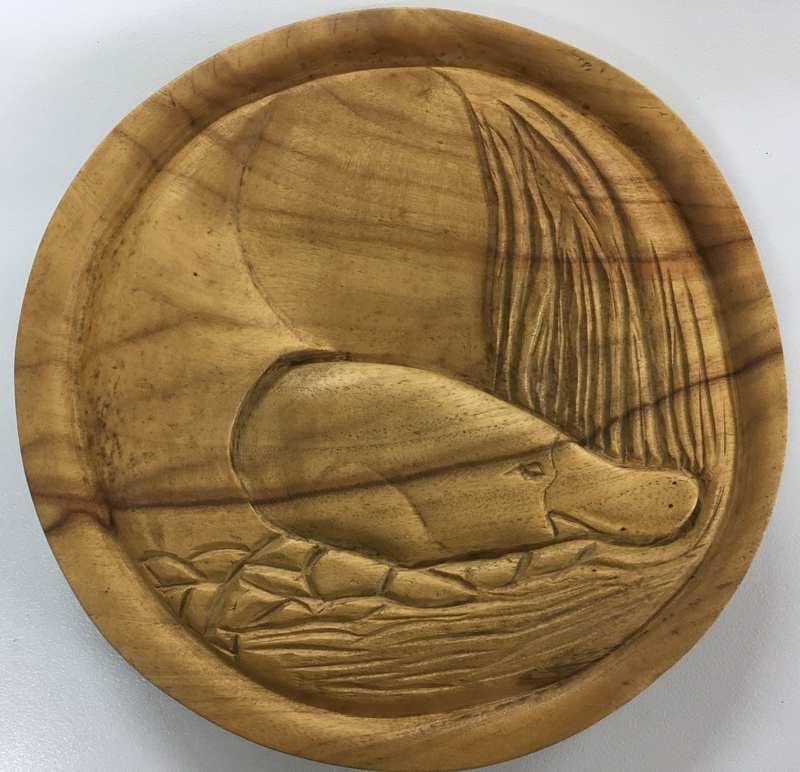 She has done many, many different crafts over the years, and one of them is wood carving. She brought this beautiful carving of a platypus in to show us recently as we had never seen any of her carvings before. What skill! 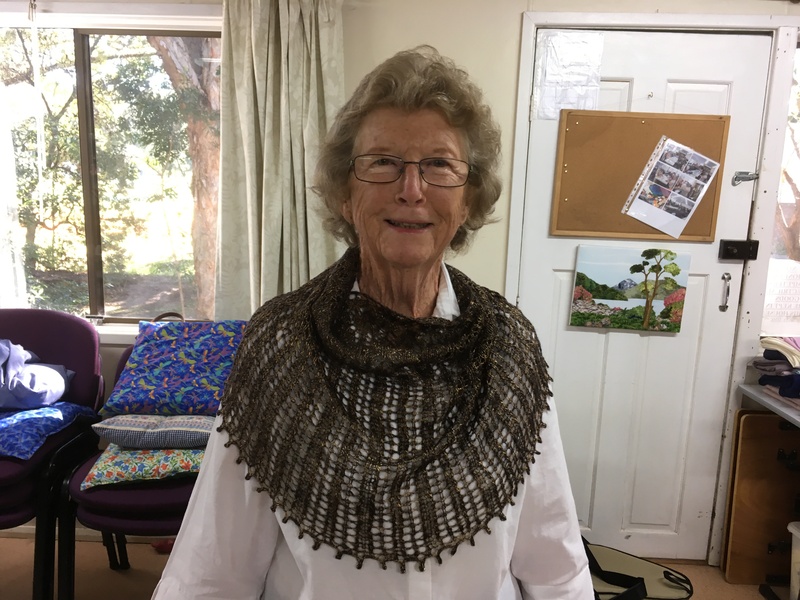 Here are a couple of Lyn’s latest saori creations. 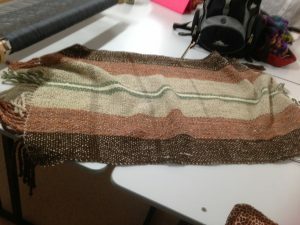 Above is a poncho woven with a beautiful soft merino/alpaca blend yarn which was handspun by Lyn. 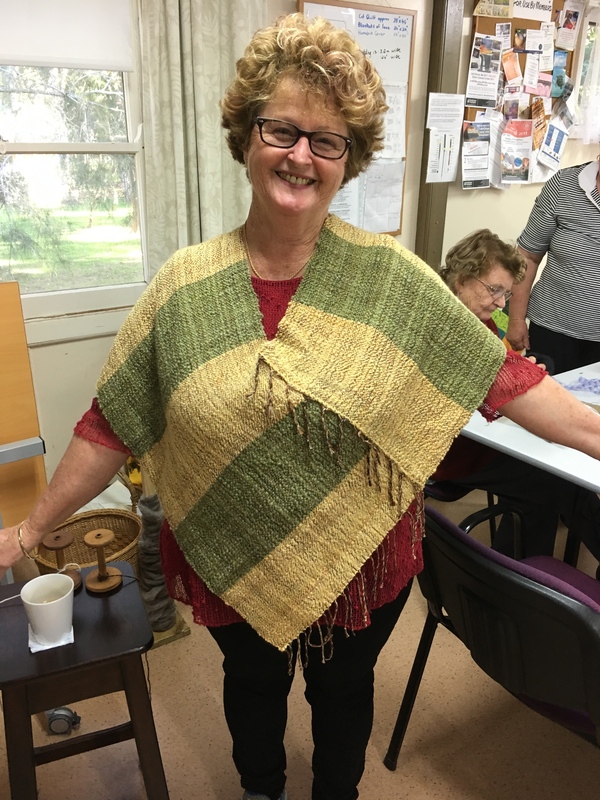 Below is a saori woven piece which has been made into a top. Keep them coming Lyn! Louise has been busy with the crochet hook recently. 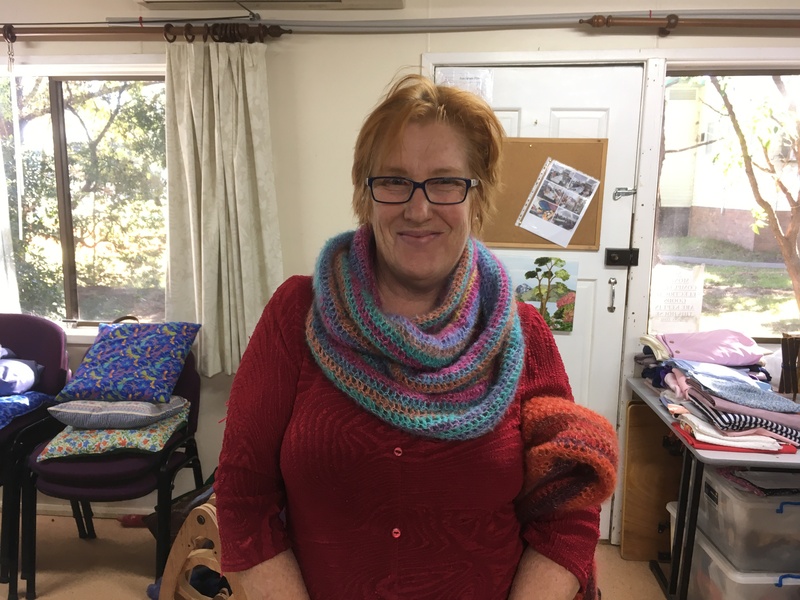 She has made two mobius scarves in lovely, soft mohair yarn. 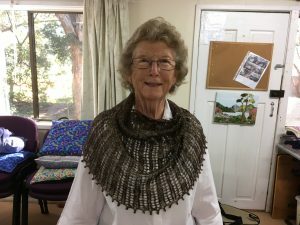 She did a long chain of over one hundred, then double crocheted until she had the desired width. Very effective and I love the yarns. 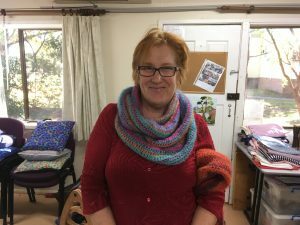 Katie has knitted this gorgeous shawl for her sister. 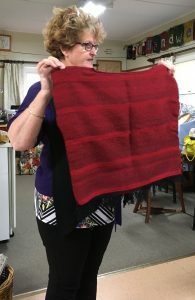 It is being modelled here by Bev. 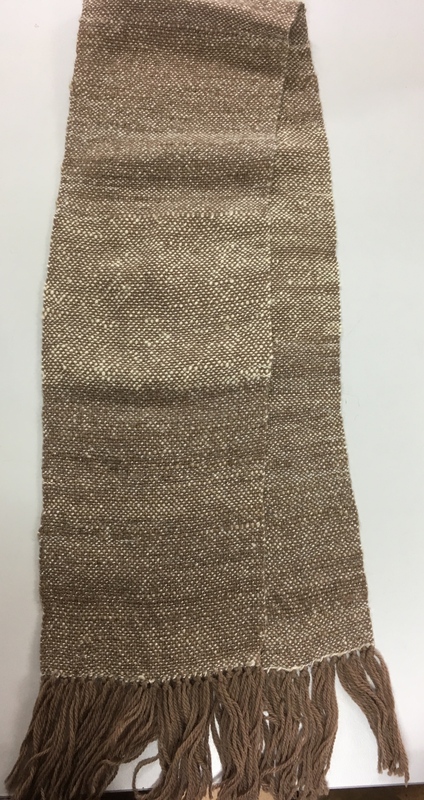 The yarn has a lovely metallic sheen to it and looks absolutely stunning. 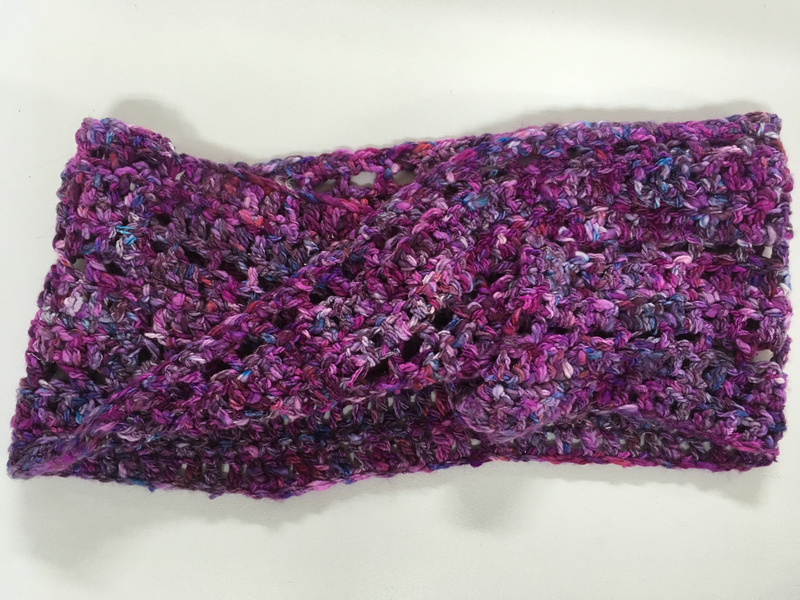 The yarn is called Air Lux and is a viscose and wool blend. 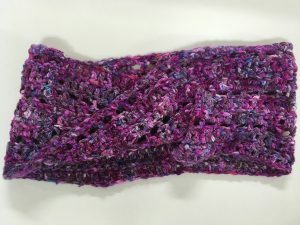 This scarf by Faye is so lovely and soft. The weft is a mixture of handspun merino, alpaca, silk and camel. Very nice. Faye is so proud of this project, and so she should be. 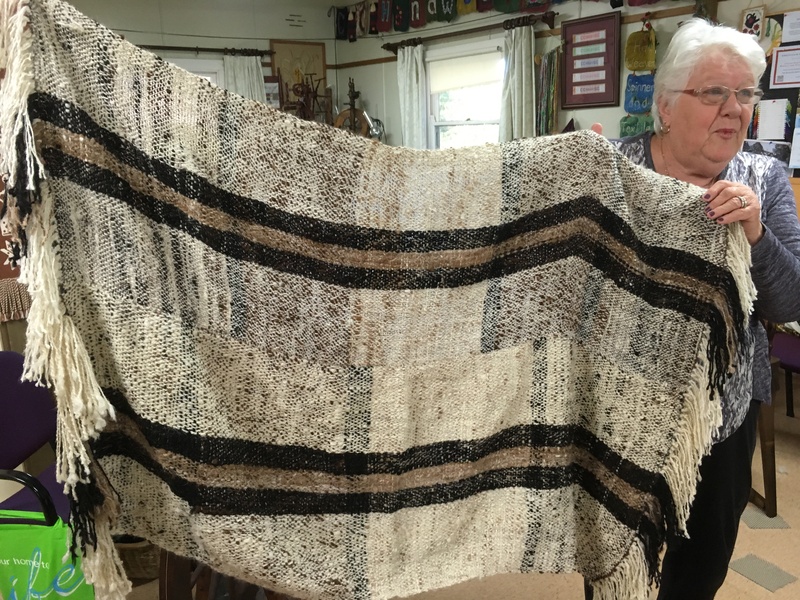 This is her first large project that she has woven using all handspun wool and alpaca that she washed and carded too. What an awesome achievement. Well done, Faye. Deb really loves dyeing. 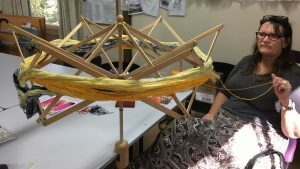 Here she is with her latest dyed wool on the swift, ready to make it into a ball with the ball winder. Another beautiful poncho by Lyn A. 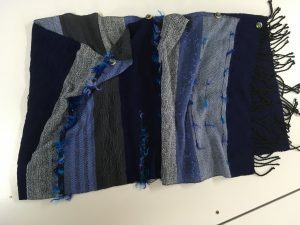 This one has some lovely blues, with some being woven in two shaft, and some in four shaft twill. 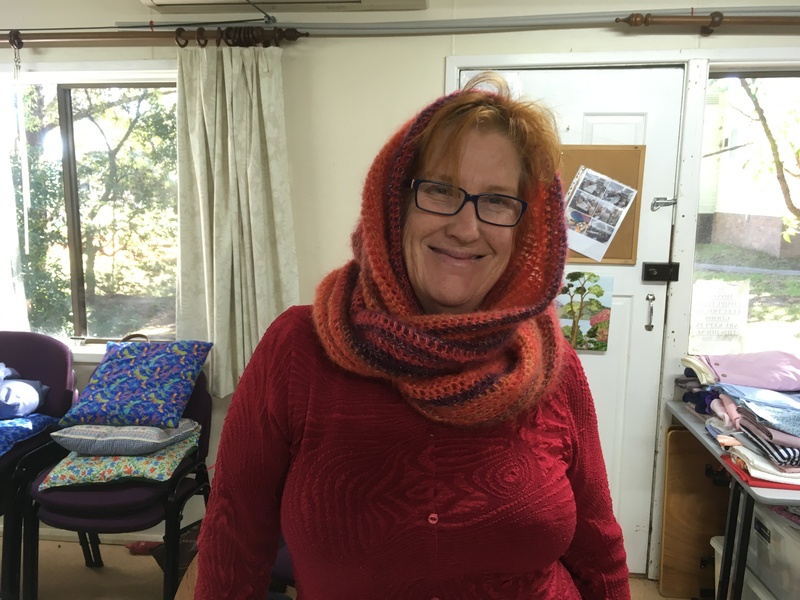 Katie loves crocheting cowls. Here is her latest one in gorgeous bright colours. These pieces were made by Sandra on the Knitters Loom. This knee rug was made of all hand spun wool. 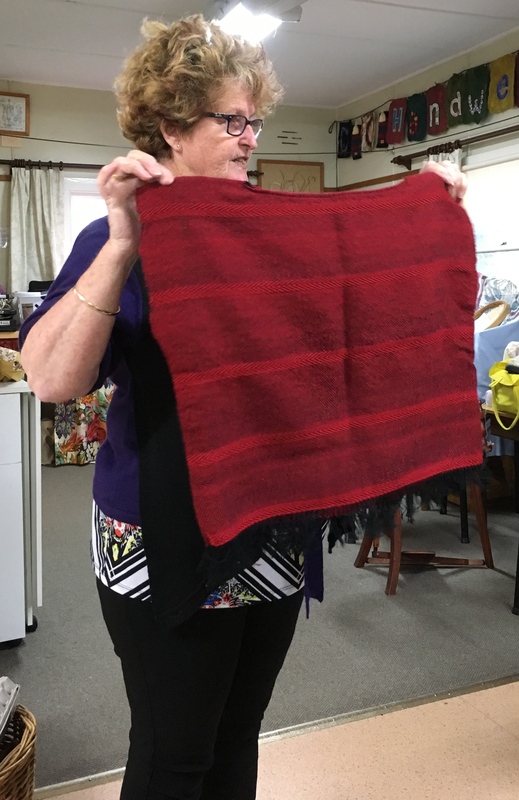 This was made for her friend who had a hand spun wool jumper. Sandra unpicked the jumper, with the help of Anne and wove this beautiful knee rug. She added some extra colours into the warp for this beautiful colourful rug. 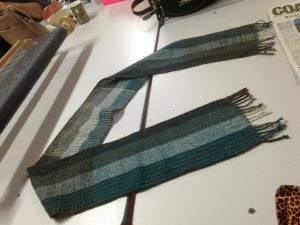 The Scarf was made by Sandra from commercial wool. How warm will this be. By Lyn A.